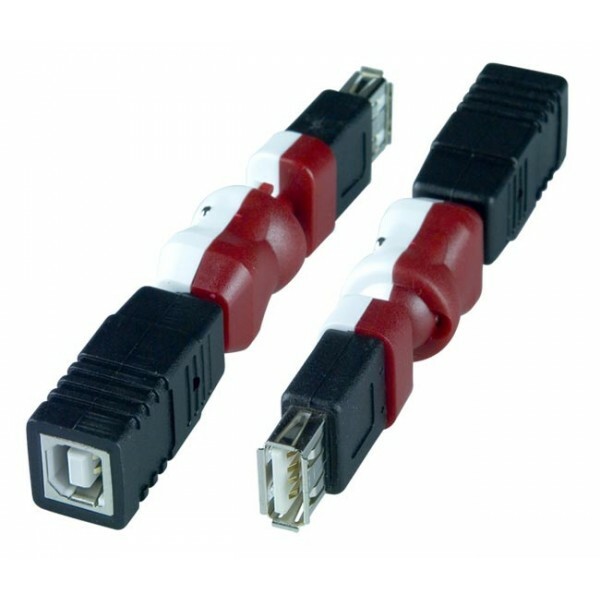 Convert a USB Type A male connector into a Type B female. Female USB Type A to female USB Type B connectors. Convert a male USB Type A connector into a female USB Type B connector, or convert a male USB Type B connector into a female USB Type A connector. Ideal for desktop or notebook computers. Suitable for printers, scanners, cameras and more. 3D articulation: pivots, swivels, and turns. 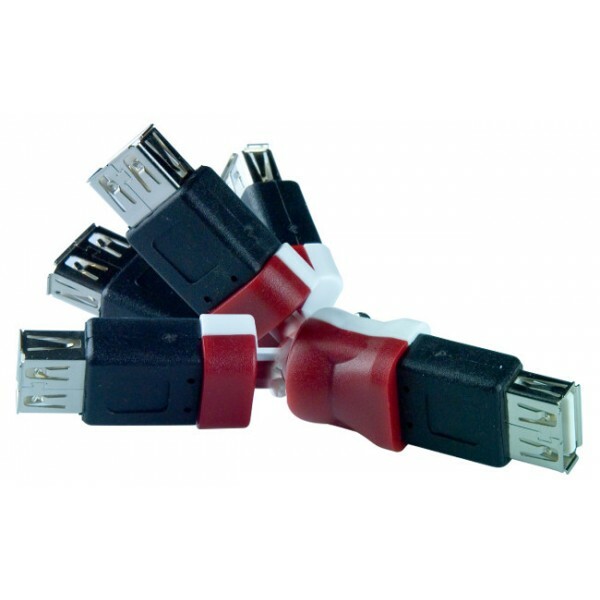 Compliant with USB 2.0 and USB 1.1 specifications. Fits easily into tight spaces.